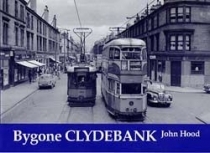 The origins of Clydebank can be traced back to 1 May 1871 when the first turf of Clydebank Shipyard was cut on the farmlands of West Barns o' Clyde. Next to come was the Singer Manufacturing Company and burgh status for the fledgling community that clustered around these industrial concerns followed in 1886. Population growth rocketed throughout the late nineteenth and early twentieth centuries the period covered in this volume, containing over 50 period photographs and the burgh boundaries were expanded not once but four times. In this history of the town, many long-gone sights from those times are recalled trams on Dumbarton Road, Clydebank School on Kilbowie Road, Kilbowie railway station, Singer's Kilbowie factory, the 'Holy City', and many of the local shops and businesses that served the town.